← What Exactly Is Home Health-care, and What Does It Offer To Seniors? 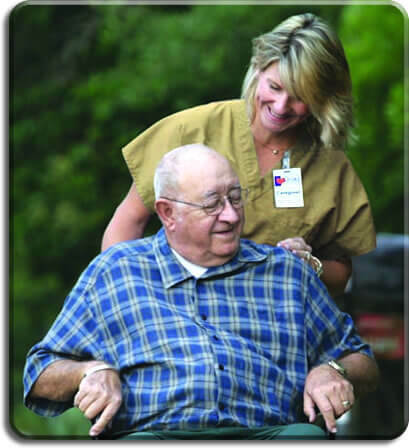 Optimum Care Home Care is dedicated to providing access to home health care professionals that enable Mom or Dad to stay at home and age in place as long as possible. Recent studies performed by the American Association of Retired Persons (AARP) and determined what is already pretty well accepted throughout the United States – these days, older Americans prefer to age at home. However, as the Boomer population ages, help may be required in a few areas in home-based scenarios. The expansion and proliferation of home health care agencies in recent years has grown exponentially as more aging Americans decide to stay at home rather than go into assisted-living facilities. Despite seeking the utmost in independence, some seniors to require some assistance at home and many non-medical services are required by those individuals. Some of the most common non-medical services provided by home health-care agencies such as OptimumCare Home Care include but are not limited to shopping, meal preparation and oversight, light housekeeping, transportation, and companionship. Not too long ago, an elderly person having difficulty with two or more activities of daily living (ADLs) was recommended to enter a long-term care facility, assisted living facility, or “supervised” facility. Thank goodness times have changed, and home healthcare services provides such individuals with assistance when it comes to bating, grooming, dressing, nutrition, medication oversight, and more. Additional information on local services and providers for seniors aging in place is found through your local area Agency on Aging. This agency provides answers to some of the most commonly asked questions, community services, and concerns of locals seeking information on how to help mom or dad remain in the home environment as long as it is safe to do so. Home care also enables seniors to have access to community services and events that not only stimulate physical independence, but enhance social, mental, and emotional health and wellness. In recent years, regulations for a licensing of home health-care agencies has become stricter, which is a good thing for those seeking such services. State and federal oversight, reviews, inspections, and audits are performed on a yearly basis and enhance not only quality of service, but ensure security for seniors and their families. For example, the rules and regulations for home health-care agencies in the state of Virginia include oversight regarding home healthcare services, personal care services, pharmaceutical services, and hospice related services. For additional information regarding certification, rules and regulations for home health-care agencies and providers in Virginia, contact Virginia.gov or the Virginia Department of Health.